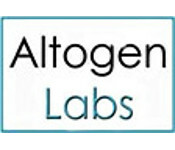 Altogen Labs is a Good Laboratory Practice (GLP)-compliant laboratory that provides innovative biotechnology research services for pharmaceutical, biotechnology, and academic institutions worldwide. Their services include all types of laboratory CRO pre-clinical research, in vivo toxicology study for IND applications, biodistribution studies (rodents) and xenograft animal models, teratoma formation and gene expression analysis, tissue-targeted in vivo RNAi and siRNA delivery services, tissue culture services, transient and stable transfection, development of stable cell lines (including RNAi), IC50 in vitro compound testing, microfluidics-based liposome encapsulation (proteins, DNA, siRNA, small molecule), gene silencing (RNAi) services, ELISA and cell-based assay development (apoptosis, cell viability, cell cycle, ATP), microorganism ID and 16S sequencing, bacteria identification and bioinformatic charactezation services. Altogen scientists have years of experience and expertise that includes all types of pre-clinical CRO studies, cell and molecular biology research and development. They provide a wide range of GLP-compliant contract research laboratory services to meet clients’ unique needs, including A-to-Z stable cell line development, RNAi and cell banking services. Technical support and quality control teams ensure and support the company’s high-quality products and services.